The fast food vendor is one of the founding food partners of the One Feeds Two Foundation, which donates a meal to hungry schoolchildren around the world for every meal sold. To celebrate reaching the 500,000 milestone, and to thank the people of Leeds for their support, Rola Wala at Trinity Kitchen is launching “Feedanuary”, where diners can win a month’s worth of Rola Wala – with one winner announced every week in January. Details are available at www.rolawala.com/feedanuary. 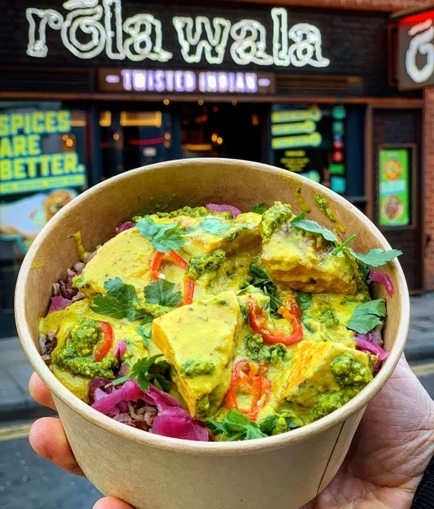 Mark Wright, Rola Wala founder, said: “We’re so proud to be able to say that each time you have a meal at Rola Wala, you’ll directly be helping schoolchildren living in one of the world’s poorest communities. Dan Wharton, marketing manager at Trinity Leeds, said: “It’s great to see such a popular street food vendor showing support for important causes like One Feeds Two.